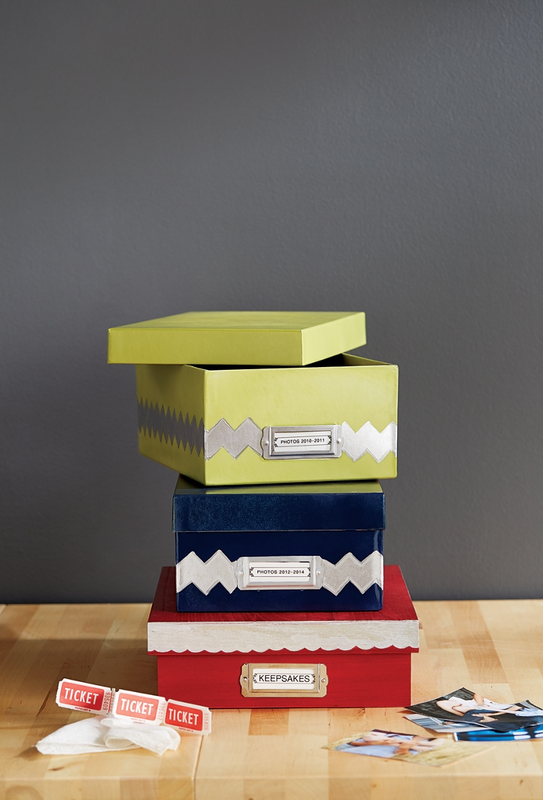 Paint storage boxes to coordinate with your crafting space. Spray boxes with Metallic Brilliant Silver; allow to dry completely. Using vinyl and personal die-cut machine, cut strips with shaped edges to use as masks around boxes and/or lids. With masking paper and tape, mask off areas of boxes or lids to be left silver. Mask off label holders. Spray paint boxes with various colors of ColorMaster™ spray paint, as desired. Remove stencils. Use a Leafing Pen to touch up designs, as needed.